What is the IMF’s currency basket? International Monetary Fund policymakers are expected to decide this month whether to add China’s yuan to the Fund’s benchmark currency basket after a campaign by Beijing for inclusion. Joining the Special Drawing Rights (SDR) basket would mark a symbolic coming of age for China as an economic power and an acknowledgement of its efforts to reform its economy to be more market driven. It would have little immediate practical impact on the world economy, though currency analysts estimate that inclusion could drive global demand for the yuan to top $500 billion in coming years. The SDR was created in 1969 as a virtual currency and an international reserve asset. Its value, set every day, is determined by a basket of currencies comprising the U.S. dollar (41.9 percent), the euro (37.4 percent), pound sterling (11.3 percent), and yen (9.4 percent). HOW IMPORTANT IS THE SDR? As of Sept. 10, there were 204.1 billion SDRs in circulation, worth about $280 billion. That’s equivalent to less than 2 percent of total global reserve assets of $11.46 trillion as of the end of June. The IMF allocates SDRs to its members depending on their stake in the Fund, and members can exchange them for hard currency if they want to adjust the composition of their reserves. The SDR interest rate, based on three-month market rates for debt in the respective currencies, governs the cost of IMF loans to members. HOW DOES A CURRENCY QUALIFY? The currency must be issued by a country or currency union which is one of the world’s top exporters over a five-year period. It must also be “freely usable”, or widely used to make payments for international transactions, and widely traded in major currency markets. The yuan meets the first criteria but at the last review, in 2010, it was found not to be freely usable. WHAT CRITERIA COUNT IN THE REVIEW? IMF staff found in a report in July that the yuan still had a way to go in meeting the freely usable criteria, for example pointing to sparse trading outside Asian markets and a low volume of yuan-denominated international debt. But China has since announced reforms to tackle many of the shortcomings identified. Ultimately the decision will come down to the judgment of IMF members, as represented by the executive board. Countries like Britain and France have already signaled that they would support the yuan’s inclusion. 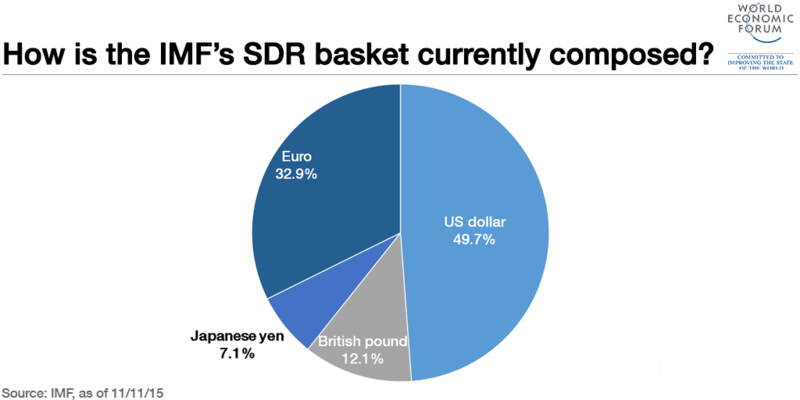 HAS THE SDR BASKET’S COMPOSITION CHANGED BEFORE? Author: Krista Hughes is Trade Correspondent at Reuters. Image: Chinese 100 yuan banknotes are seen in this picture illustration. REUTERS/Jason Lee.